The Alan Higgs Centre, Coventry. Coventry City Football Club are inviting applications for a Performance Analyst Intern for the duration of the 2019/20 season. This exciting opportunity is designed to assist individuals who have a passion and interest in performance analysis who are looking to gain invaluable industry experience working in an elite sporting environment at a high performing category two academy. · Work closely with the Academy Performance Analyst and coaches in order to provide support to the Academy age group teams. · Contribute to projects and reports specific to the Performance Analysis department. · Assist in the filming and analysis of age group matches & training. · Maintenance of statistical databases relevant to the Academy age groups. 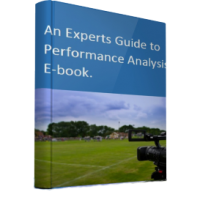 · Use video analysis and other appropriate technology as key performance analysis tools. · Behave in a professional manner at all times. · Excellent computer skills and comfortable using Excel, Word, PowerPoint, iMovie . · Excellent time management and organisational skills. · Exceptional standards and high attention to detail. · Pro-active and comfortable working at pace. · Willingness to learn & develop. · Ability to work with large sets of data. · Currently studying or completed a sport related undergraduate degree. · Available to work unsociable hours including evenings, weekends and Bank Holidays. · Understanding of sports performance analysis software. · Sound knowledge of football. As part of this role, you will be required to undergo a DBS check. Coventry City Football Club is an equal opportunities employer and welcomes applications from all such sections of the community.